The professional cleaners can deep clean any type of rug properly as well as with a superb outcome. The steam rug cleaning South West London service is a really successful cleaning technique which is done using a hot water extraction system which shampoos and rinses your rug, and at the same time extracts up to 96% of the water out of the rug. For special type rugs, and those textiles which are not able to be handled with water, we offer a top quality dry rug cleaning South West London service generally known as dry compound cleaning which involves the use of unique dry cleaning foam and no water. 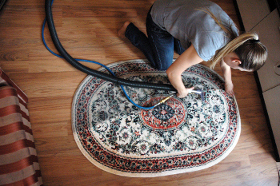 Better Cleaning Company is well-known for its reliable and friendly local rug cleaners South West London SW, and the good quality rug treatment services it offers to its private and commercial clients in the region. As an expert cleaning services provider we are equipped to thoroughly clean all kinds of rugs (wool rugs, natural fibre rugs, hair-on-hide rugs, cotton rugs, synthetic or blended rugs) and eliminate a wide variety of stains (wine, coffee, tea, beer, drawing paint, urine, greasy food leftovers etc.). We are skilled and equipped to handle even asian rugs, special rugs and high-priced rugs safely. For your additional assurance, all of our services are totally covered by insurance. So, if you need any kind of cleaning and stain elimination assistance for your personal rug, remember to order our professional services right now! To our company professional rug care would mean investments in the latest equipment and detergents and in trainings for our staff. We put our customers’ needs at the centre of our job and we listen to the specifics in our day-to-day work. Our company is committed to supplying the most effective services which you can see for yourself from our customers’ reviews. We have a twenty-four-seven system for easy bookings and totally free cost quotes for the rug cleaning South West London SW. We can make all rug models washed properly and also effectively at quite inexpensive costs.The company offers regular customers and the local estate organizations and property owners preferential rates. We can provide you a discounted price of up to fifteen if you add another one or more of our services to your current request. So do not hesitate to take benefit today, and save time and cash by booking a combination of our top quality professional cleaning services! Reserve today by telephone 020 3746 3201 or sending us an online request!